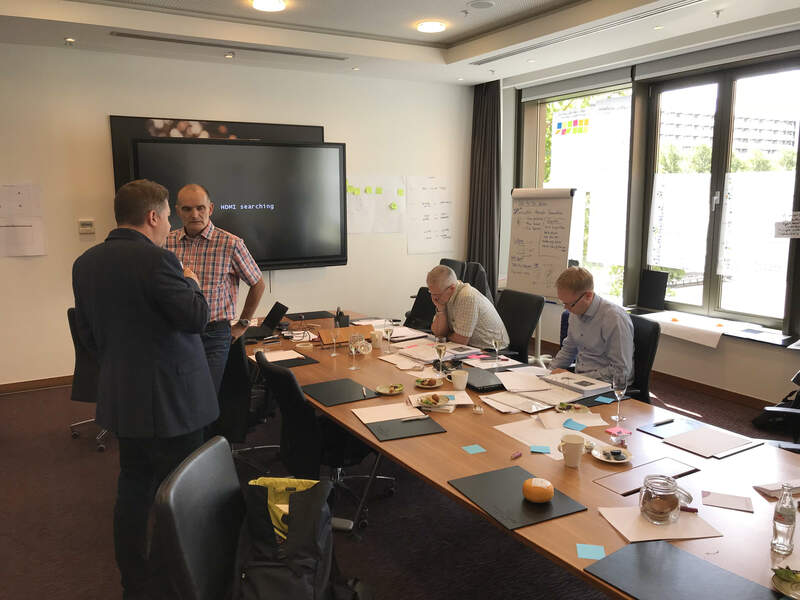 Mid way through the second week of joining i-nexus, Head of Product, Ian, asked if I felt that going on a Certified Hoshin Planning course would be of benefit. I jumped at the chance, not because it was in Amsterdam, although that was nice, but because I wanted to get a deeper understanding of what my company's software did. The inductions had all been great but there is nothing like some focused training to really kick start deeper understanding. I was being offered a chance to get an independent view of a subject that is at the core of what i-nexus is all about. My background is in human computer interaction. I’ve been designing for digital since 1997. I’ve worked for a variety of companies in a range of sectors but I’d never had any formal strategy training, so I was excited to learn more about the topic and to get a clearer picture as to how I-nexus software fitted into the process. The course, run by Lean Methods, was aimed at teaching you how to be a Hoshin Planning facilitator. They understand that to do this you need a wider view of what strategy is, why it’s important and how you can successfully execute it. Having studied all of the existing strategy planning and execution models, Lean Methods believe that Hoshin is the best only way to successfully create, manage and successfully execute your strategy. So what is Hoshin? The Hoshin Kanri style that Lean Methods teach is derived from a method of strategy planning and execution discovered in post war Japan during the rebuilding of its economy. The most successful companies were using Hoshin. American academics learned these methods and adapted them to suit western business styles, creating the version of Hoshin that is used today. I learned that a robust business strategy requires strategic thinking, based on business insights. This thinking is then forged into a strategy document with a vision and a phased approach to getting there. Execution of that strategy is often the part that many businesses struggle with. The bridge between the Strategy and Execution is Strategic planning and this is where really Hoshin and i-nexus shine. I learned how to take a business strategy, understand it, and break it down into achievable objectives, tied to projects, metrics and people. To do this we used the X-matrix tool. The goal of applying the X-matrix is to align the long-term needs with strategic initiatives, identify the most important activities along the way and add the metrics you need to monitor the execution of those goals. The big take home for me was that if the organisation is simple in structure then a single page X-matrix is enough to manage the process. If your company is larger in scale though, you start to need a multi level X-matrices and this quickly starts to become a challenge to manage. Paper and even MS Excel start to become problematic to manage at scale and quickly you begin to lose the shared understanding and accountability you were aiming for. That’s where i-nexus fits into the process. It allows you to manage a Hoshin deployment at scale across multiple sites in different locations and languages. I came back from the course with a deeper understanding of: strategy, strategic planning, strategy execution and where i-nexus fits into it all. The course and the delegates gave me valuable insights into how our customers might use i-nexus and where there were opportunities for improvements to the current user interface and existing functionality. Michael is a User Experience Lead at i-nexus. His role is to improve our products by making the software easier to use. He's interested in finding people that use our tools either on a daily or in frequent basis and getting them involved in helping us improve the product through testing and feedback. If you use i-nexus and would like to get involved in our usability programme please do get in touch or connect with Michael on LinkedIn.